Janet Yellen is the most qualified pick for Federal Reserve chair, so why are we talking about Larry Summers? The Best Candidate for Fed Chair Is a Woman, so Why Consider Larry Summers? Sure, she’s qualified. But is she qualified? Certainly, there is no better qualified candidate to fill Bernanke’s shoes when he steps down in January. A noted economist, Yellen headed the Council of Economic Advisors for two years; led the San Francisco Federal Reserve Bank for six years; and has served ably as Bernanke’s Vice Chairman since 2010. Unlike Larry Summers, Tim Geithner, and Bob Rubin—minions frequently mentioned in the financial press as potential Bernanke successors—she was not part of the deregulatory cabal that got us into the 2008 financial crisis. 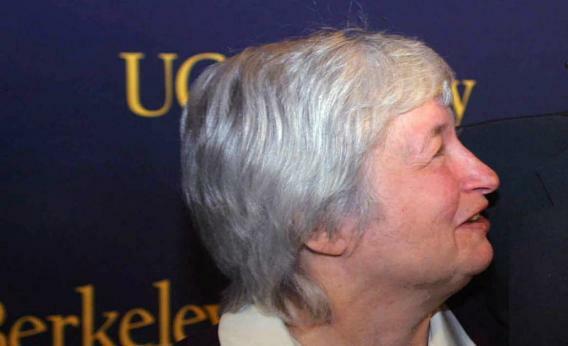 In fact, she had a solid record as a bank regulator at the San Francisco Fed and was one of the few in the Fed system to sound the alarm on the risks of subprime mortgages in 2007. Also, we’re in an unsteady recovery, so picking the woman instrumental in Bernanke’s efforts to stabilize the economy is the best way to keep things moving in the right direction. This is what the econo-nerds call “continuity.” So what’s the problem? She lacks “toughness.” She’s short on “gravitas.” Too “soft-spoken” or “passive.” Some mused that she is not as aggressively brilliant or intellectually probing as other candidates — though they hasten to say she’s clearly very knowledgeable about monetary policy. Others have wondered whether she could handle the inevitable fights with Congress. Never mind that she’s been doing the job of vice chairman without any of these ladylike attributes getting in her way. Of course, as Klein points out, not all of the worriers are content to express just “airy hunches”: Federal Reserve Bank of Dallas President Richard Fisher complained on CNBC that picking Yellen would be “driven by gender.” Oh, he admits she’s qualified for the job, but hastened to add, “There are other capable people.” Which seems to suggest that Obama should exhaust every male candidate before settling on a female one, a course of action that would not be “driven by gender” because men don’t have a gender. Things got worse this week when the wizard finally showed his face. On Tuesday Klein wrote a new column, this time saying that, to his utter disbelief, Larry Summers is the frontrunner for the Fed chair. And I’ve been told that the Summers camp is using the whisper campaign against Yellen to bolster their man’s chances with Obama. Yes, the same Larry Summers who condescendingly told a roomful of people who had lived their adult lives as female scientists that women lack the innate abilities to do science. Yes, the same Larry Summers who, unlike Yellen, played an instrumental role in the economic collapse in the first place by consistently backing deregulation schemes that led to the housing bubble and its collapse. If this is the male candidate Obama needs to exhaust before he deigns to consider a female one, well, he should consider Summers exhausted.